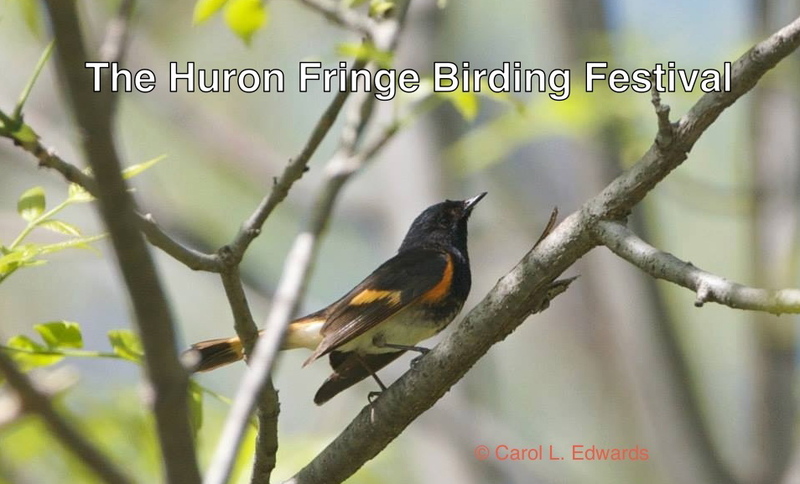 NOW IS THE TIME TO START PLANNING YOUR EXPERIENCE AT THIS YEAR’S HURON FRINGE BIRDING FESTIVAL. The modern monoculture style of agriculture threatens heritage varieties of plants. Find out how one local grower is propagating apples that were popular 100 years ago and keeping them from extinction. The Bruce Peninsula Bird Observatory is providing HFBF participants the opportunity to observe banding at the banding station on Tuesday, May 27 from dawn to 11 am only. Please park outside the gate and walk the 1.2 kilometres (20 minutes) in to the station. Directions to the banding station can be found at www.bpbo.ca (Directions/Maps). For those visiting, a donation to support migration monitoring will be appreciated. 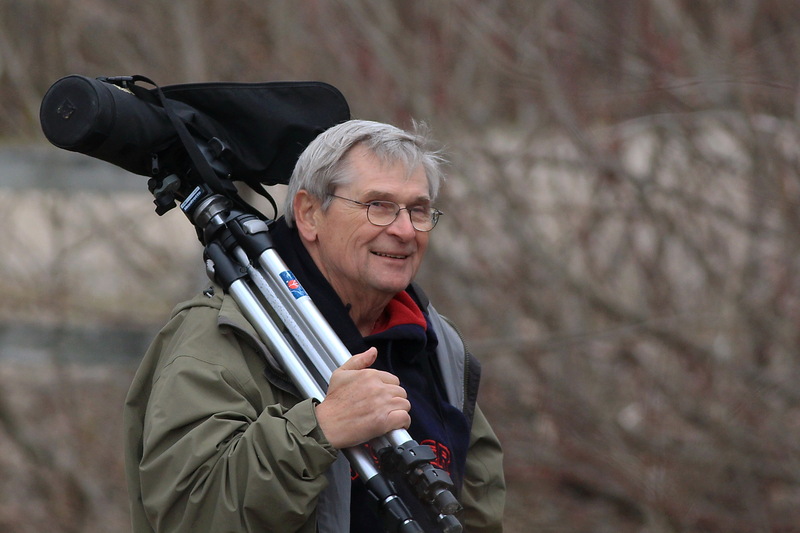 B8 – 6:00 am – CABOT HEAD/DYER’S BAY – A BIRDING AREA OF IMPORTANCE – Rod Steinacher. B10 – 6:45 am – NATURE & LANDSCAPE PHOTOGRAPHY IN SOUTH BRUCE PENINSULA – Doug Pedwell. B34 – 8:00 am – SEARCHING FOR STRAGGLERS – MacGREGOR’S LATE MIGRANTS – Michael Carlson. MacGregor Point Provincial Park encompasses 1366 hectares of protected wetlands, forests and sand dunes along the shore of Lake Huron. This flyway for migrating birds sets the stage for our festival, which attracts hike and event leaders from across Ontario and beyond. Our backdrop for the festival includes Bruce and Grey counties and the beautiful Bruce Peninsula. Participants from throughout North America, whether keen beginners or seasoned veterans, will be amazed by the variety of bird species present. Sightings of Red-headed Woodpeckers, Blue-gray Gnatcatchers, Blue-winged or Golden-winged Warblers are possible. Provincially rare plants such as Rose Pogonia, Dwarf Lake Iris and Purple Bladderwort thrive in our shoreline habitat. The endangered Piping Plover may be present at nearby Sauble Beach. Mike Burrell will be a busy birder for his first venture at HFBF. He will be leading two hikes, making two presentations and organizing an information booth over his time at MacGregor Point. But that’s nothing new to him since birds have been an integral part of his life for quite a while. Mike Burrell has been a keen naturalist ever since he was a boy. His parents introduced him to birds and all other aspects of the natural world at a young age. In high school Mike spent much of his spare time volunteering at Long Point Bird Observatory and working at Algonquin Park where he really got hooked. 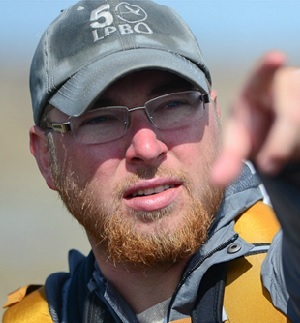 Since then he has completed a Bachelor of Science degree at Trent University and a Masters of Science in Forestry Degree from the University of Toronto, both while completing fieldwork and theses on bird ecology in Ontario. Since then he has worked for Long Point Bird Observatory, the Ministry of Natural Resources and several private consulting firms. Mike is the Ontario Important Bird Areas Coordinator for Bird Studies Canada on the Important Bird Area Program and devotes much of his spare time to Citizen Science projects like eBird. Take advantage of his expertise and knowledge and become a better birder by putting these programs on your HFBF agenda. Join Mike for a morning of birding some of the hotspots near MacGregor Point. Several warbler species, Indigo Buntings, Rose-Breasted Grosbeaks, as well as several other unique species are likely finds. Mike will present an overview of the Citizen Science project eBird, a comprehensive online bird database that is revolutionizing how birders go about their business. Contributing is simple and there are loads of fun tools that allow anyone to explore this huge database. Other Citizen Science projects will also be discussed. Since its humble beginnings in 2002, eBird has captured the imagination of thousands of birders around the world. Birders are now flocking to the website to upload their bird sightings into the online database which is maintained by scientists and volunteers. Between 2006 (when the Canadian eBird portal was launched) and 2010, nearly 3000 users reported bird sightings to eBird in Ontario. During 2013 in Ontario volunteer eBirders submitted over ONE MILLION bird observations s! The growth of eBird is incredible and as membership increases so to does our understanding of bird distribution and abundance patterns. eBird is already an important tool for making bird conservation decisions and will continue to be in the future. On top of its conservation implications, it opens up this vast amount of data to anyone interested and will surely make us all better birders and record keepers. There are lots of incentives too, with a variety of user stats available. Come hear how you can get involved, and what eBird is already teaching us about Ontario’s birds. Did you know that 70 sites in Ontario have been identified as Important Bird Areas? Stop in at the Important Bird Areas Booth to find out more about this and other programs that Bird Studies Canada offers and how you can be involved in helping to understand, appreciate and conserve our birds. Come hear about some of Ontario’s most important sites for bird conservation and how your help can make a difference on a global scale. Ontario’s Important Bird Areas Program is a global initiative to identify, monitor, and conserve the world’s most important sites for birds and biodiversity. Using scientific criteria, nearly 600 Canadian sites have been designated. IBAs are found throughout the country. Ontario’s 70 IBAs cover more than 23,000 km2, largely along the coasts of the Great Lakes and Hudson and James Bays. Most sites regularly host large concentrations of birds, or significant numbers of species at risk. Join Mike Burrell to find out more about these amazing sites and learn how you can help make a difference.